HTC on the edge: Could Huawei be its knight in shining armor? HTC is in crisis and it’s really no secret. The company had hoped that the HTC One would help change that, but so far it hasn’t been as successful as they hoped. And at this moment, if a new flagship device can’t sustain the company, it may come down to a merger. JPMorgan has already done an analysis on this scenario and has proposed some suitable candidate companies. Really, HTC smartphones aren’t that bad. They have some great specs and features behind them, but have never really gotten the success that they deserve. Whether this be due to internal issues at the company or an almost lack of marketing budget, we’re not sure. Where most companies are playing it safe (Samsung and Apple, I’m looking at you) and sticking to relatively “simple” innovation, it’s easy to just shrug off HTC. The HTC One (our review of the device is here) was one of the most significant jumps from a previous design on the market. Sense 5 was a radical change, both visually and conceptually. Combined with the fact that HTC decided to rely on its 4 “ultrapixel” camera, when most flagship devices were boasting 8-13 megapixels was a huge gamble for the company that may not have paid off as much as they had hoped. And Kwon is thinking more along the lines of Huawei. The Chinese smartphone company has recently achieved a global market share of almost 3 percent, according toe Gartner Inc. They follow Samsung (23.6 percent), Nokia (14.8 percent), Apple (9 percent), LG (3.7 percent) and ZTE (3.4) percent. An HTC and Huawei merger could create a new number four in the global rankings of manufacturers. A merger would give HTC CEO Pete Chou a little room to breathe and help bring their proposed idea of triping their market share closer to a reality with a single move. As well, Huawei would benefit. CEO Richard Yu has already announced that he wanted to see his company as the third strongest smartphone company by 2015. This goal would be within arms-reach should a merger go through with HTC. The combination of Huawei's China expertise and a brand with a superior product and consumer experience could boost future growth [HTC] by gather together in mutually complementary expertise. Huawei is pushing full steam ahead in the Western market, which so far hasn’t really heard much about the company. 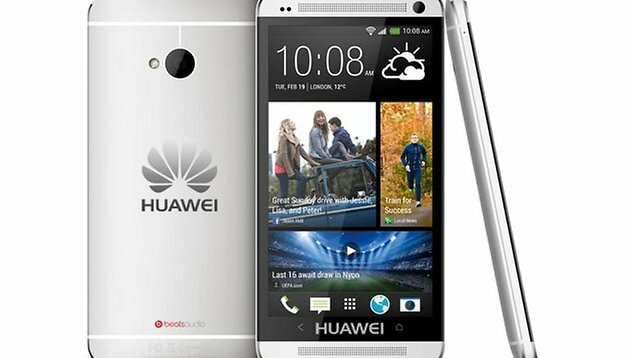 The Ascend P6 appears to be a step in the right direction of opening up that door and with the more familiar HTC name attached, it could make the penetration into the market that much easier. Huawei even recently proposed some interest in Nokia, but so far nothing has come out of these speculations. One thing is certain: something has to happen soon for HTC. Whether that be a merger or something else is still to be seen. While HTC may be proud that many of its devices have “Made in Taiwan” stamped on them, “Made in China” does sound better than nothing at all. The issue is, Huawei is being known as very close to Chinese military and Taiwan being "enemy" (note the quotes) of China. I would rather look to Asus or one of their Taiwanese rivals. That would be a great mix. One word: Marketing! That's where HTC has and is missing it till now.